In my last post I was corrected in my misspelling of Emilia-Romagna by Garbriele (thanks, Garbriele). He lives in Salsomaggiore Terme in that region of Italy (the equivalent of states in the U.S.). His is a modest size city (about 20,000 inhabitants) with a VERY impressive thermal bath facility as you can see. It made me think about the one time that I was in that region and thought it a good idea to revisit those impressions. So why the hyphenated name? The Emilia part of the name came from the via Aemilia which was one of the arteries of the Roman Empire. It boggles the mind to know that this road was completed in 187 BC. It was named after the Roman consul who completed it. The Romagna part of the name came from the western portion of the region that was under Byzantine and Lombard rule. My first memories of Emilia-Romagna is the drive along the Po river which is the northern boundary of the region. It is broad and very flat and I recall the river lined with tall poplar trees. Other than the poplars it reminded me of driving through the Midwestern U.S. with nothing much to break flat expanse of agricultural land on either side of the road. 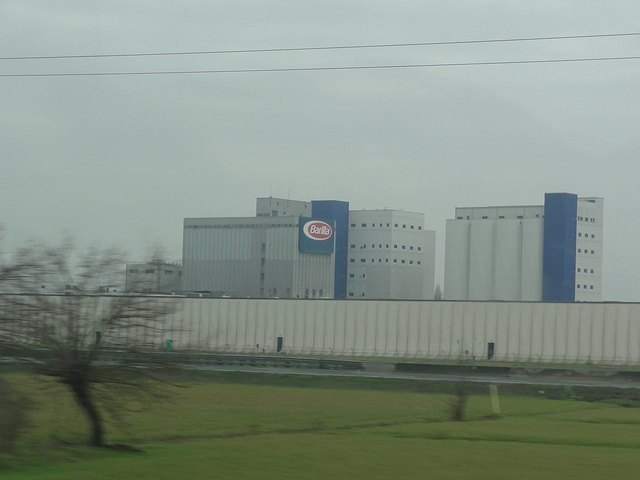 I was not driving on an autostada and recall LOTs of truck traffic and lots of factories including an enormous Barilla pasta factory. Not all of Emilia-Romagna is flat by any means. The border between this region and Tuscana is a portion of the Apenine mountains. I was in the lower area of these mountains near Parma where there are a lot of pig farms. 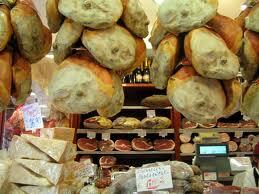 Of course one of the famous products is Prosciutto di Parma and they treat the pigs very well there. Their housing must be the envy of pigs worldwide. I cannot mention food without pointing out that even the Italians can agree (possibly they agree on little else) that the best food comes from Emilia-Romagna. 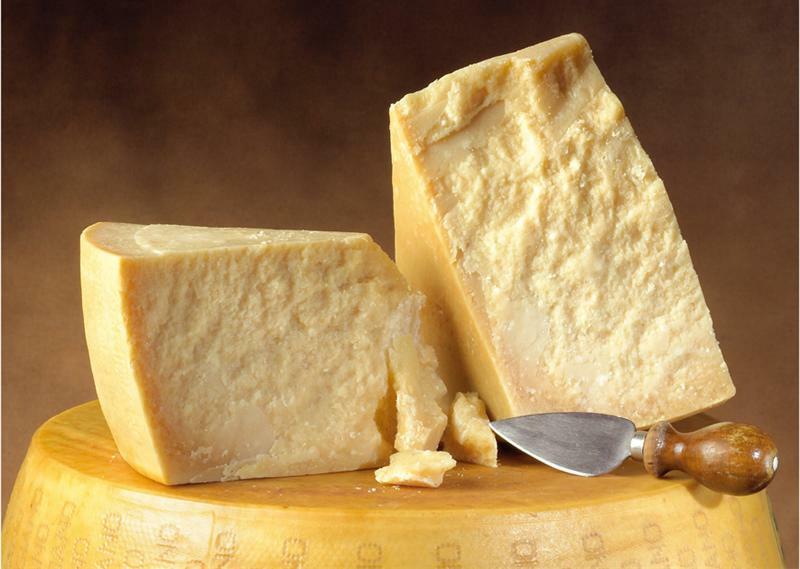 Think of the familiar food names that come from there: Prosciutto di Parma, Parmigiano Reggiano, lasagna, ragu’ alla bolognese (bolognese meat sauce), tortellini, mortadella (our bologna is a pale imitation of the original) and balsamico (Balsamic vinegar). And those are just the names that are familiar to Americans. The nickname for Bologna (the capital of the region) is Bologna la grassa (the fat) for good reason. Makes me hungry just writing about it. Not only food but there are other familiar names in the regions: Ferrari, Ducati, Lamborghini, Maserati. 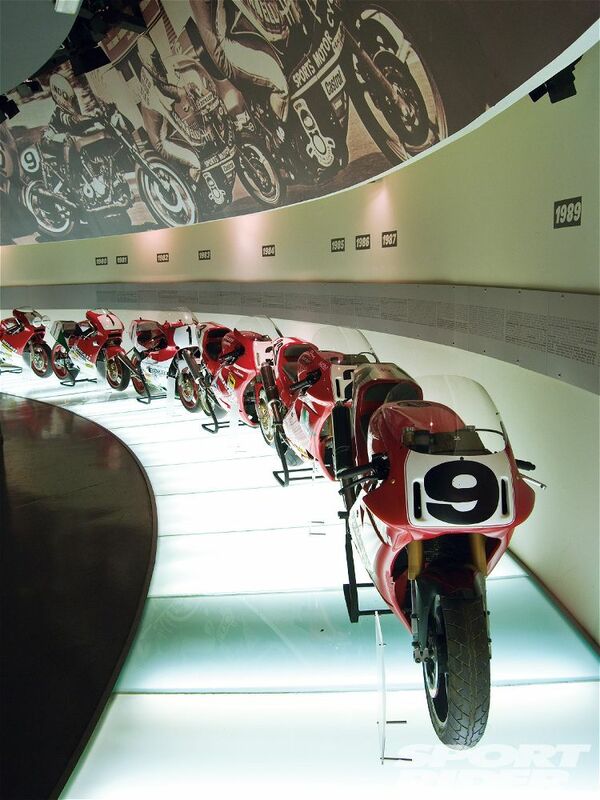 Oh, I do want to visit the Ducati factory on a trip there. 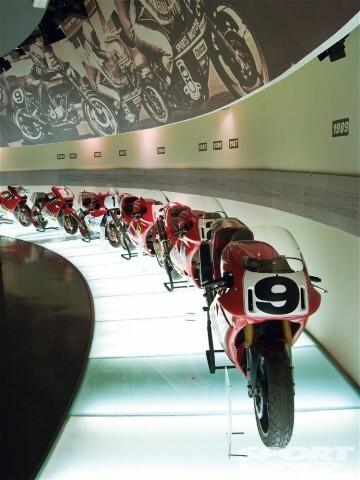 I cannot ever envision myself in a Ferrari but have owned a wonderful Ducati and would love to see the latest models as well as the museum. 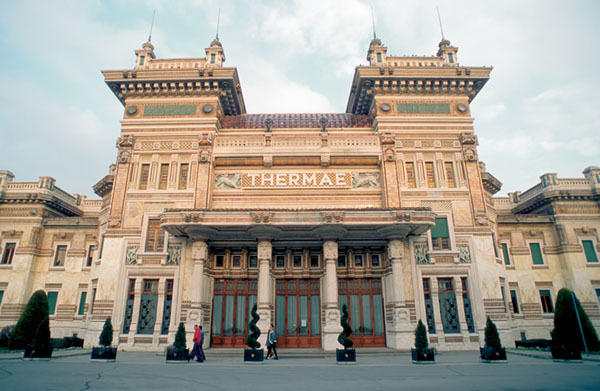 The names of many of the cities of the region (if not of the region itself) are familiar to many: Bologna, Ravenna, Modena , Parma , and Ferrara. Let me know if you have visited any of these places or other lesser known locales in the region. This entry was posted on Saturday, March 26th, 2011 at 11:44 am	and is filed under Food, Travel, Vehicles. You can follow any responses to this entry through the RSS 2.0 feed. You can leave a response, or trackback from your own site. Penso e’ certo che ci vediamo questo autunno. Vorrei visitare tua paese e altri nel Emilia Romagna. Il mio piano e di fare un post presto su Bologna ed altre citta’ nel quella regione. Vorresti fare un “guest post” di tua paese? Io so che tuo inglese e’ bene e posso rivedere e corregerlo prima di pubblicazione. Anche prima di pubblicazione puoi controllarlo. Che dici? Ottimo! Ti scrivo un email.